The Baby Celebration album, is exactly that, a celebration of the birt of a baby boy or girl. The pages are made from thick card, with a plastic front for the photograph to be slipped into and have illustrations on each page whicg are different colours. 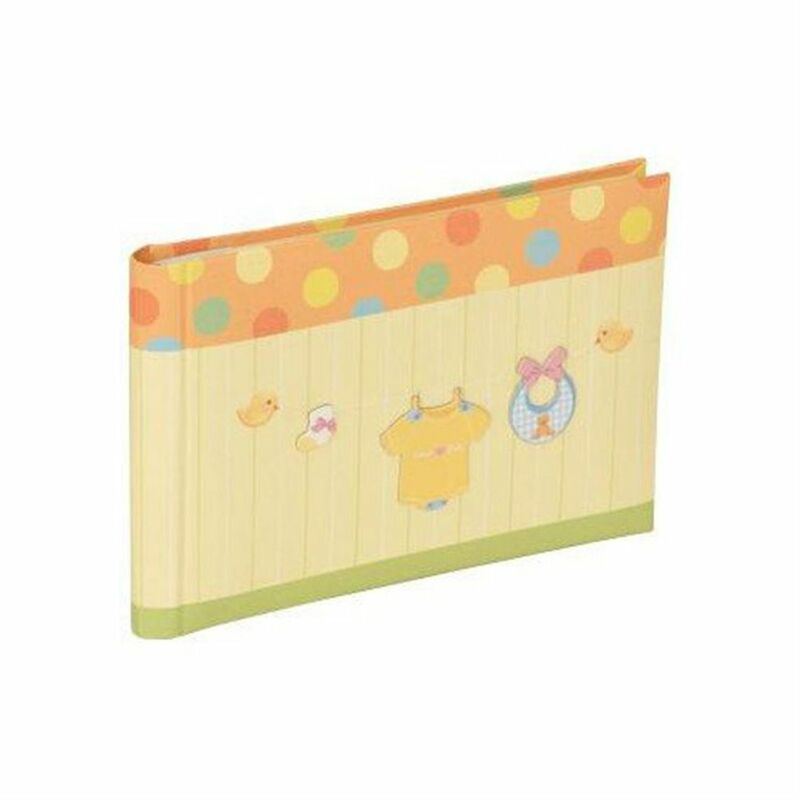 The back of each page on the baby Celebration album, has an area to write notes and the back page is an envelope which can take small keepsakes, like a lock of hair. The front page has 'For' and 'From' written on it, so the album could be given as a gift and it measures approximately 8.5 x 5.5 inches overall.